As summer fades into fall, homeowners across the country are turning off their air conditioners for the year and starting to use their heating systems. But because it’s been months since these furnaces and heat pumps have been used, they need careful maintenance to prepare them for the long winter ahead. Your HVAC contractor is the best person to provide the following services and make sure your furnace or heat pump is in top shape. In a furnace, the burner and heat exchanger can quickly become dirty with dust and soot, which will make the furnace burn less cleanly and produce unpleasant smells. Your HVAC contractor will clean the burner and look over the rest of the system for dirty or rusted areas. If you have a heat pump, they’ll clean the blower assembly and the evaporator coil. During this maintenance visit, your technician will look for any warning signs of a possible breakdown in your heating system. This might include components that have rusted or worn down, strange noises when the system is turned on, unusual smells, or any broken or detached components. They’ll also look over the ducts in your home for any parts that are damaged or blocked. Heat pumps rely on a constant level of refrigerant to move heat between the indoors and outdoors. This substance may slowly seep out of the heating system over time or grow into a more serious leak. Your HVAC contractor will check the level of refrigerant and refill it as needed. Your heating system’s air filter is essential for maintaining air quality in your home, but when it isn’t taken care of, it can also strain your entire system. A filter clogged with dust blocks airflow, which makes the heating system’s fans work harder and result in increased wear and tear. Your HVAC tech will check whether the filter needs to be replaced. If any problems come up during the course of maintenance and inspection—such as fuel or refrigerant leaks, broken fans, or other damaged parts—this is the perfect time for your HVAC contractor to fix the issue. 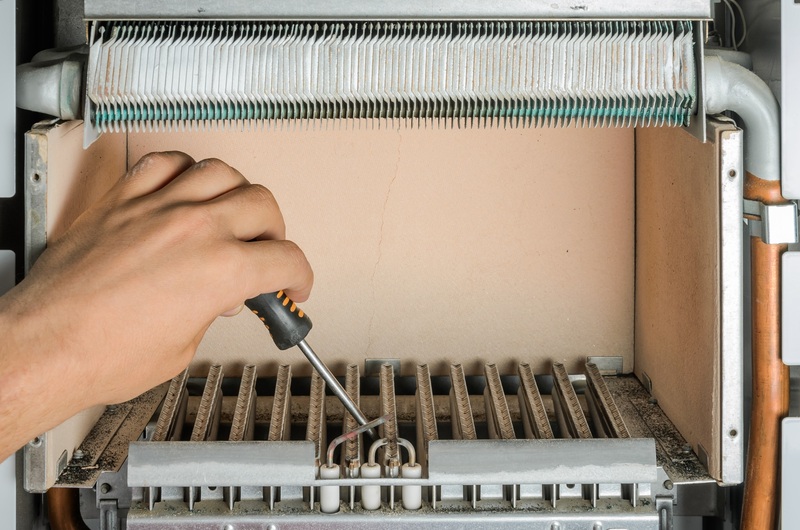 Even what might seem like a minor furnace repair can prevent more serious damage to the equipment later, because every component in your heating system relies on all the others. If you haven’t scheduled a yearly maintenance visit for your heating system, call Blue Ox Heating & Air today. Based in New Hope, MN, they serve the Minneapolis area with fast, reliable, and skilled cooling and heating repairs. They also offer a money back guarantee on their services. To schedule a visit, call them at (612) 217-7759 or schedule online.